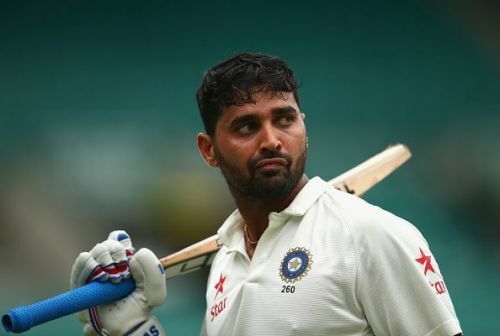 In a bid to overturn a run of bad form that led to his removal from India Test playing XI after first two Tests of the ongoing England series, Indian Test opener Murali Vijay is set to join defending champion Essex for the remainder of the County Championship season. The Indian batsman featured in the first two Tests in England, at Edgbaston and Lord's, and was out of form in both Tests. Prior to that, he had a terrible Test series against Sri Lanka at home. Despite being tagged as the Test specialist of the team, Vijay failed to make any contribution in second Test, and he scored just 26 runs in four innings of two Tests, including two ducks. Vijay became the third Indian player to sign for Essex, while Harbhajan Singh and Gautam Gambhir are other two players who have represented the English county. Essex are currently lying at No.4 in the Division One points table, having won four of the 11 matches, with as many losses and two draws while one of their games ending in no result. As per ICC reports, The Indian batsman is thrilled to be part of the county set-up, and said in a statement that he "can’t wait to play for Essex"
"I was here with the India side about a month ago and saw first-hand just how good the crowd is. I can’t wait to play for Essex and hopefully win some matches," said Vijay. Anthony McGrath, the Essex County Cricket Club's head coach said: "We’re delighted that Vijay has chosen to come here. He’s a great batsman who can score runs at the top of the order. "Vijay’s run-scoring ability means he can be the difference-maker in a game, and that skill is something we were looking to bring in towards the end of the season and something that we’re excited about.